low in saturated fat, cholesterol, sugar and salt. According to the American Heart Association, a healthy diet and lifestyle are the best weapons you have to fight cardiovascular disease. Recent research shows this DASH diet- Dietary Approaches to Stop Hypertension - is an excellent way to reduce high blood pressure. In order to start eating a healthy diet you need to prepare your meals yourself, rather than eating in restaurants or eating prepared, packaged foods that are high in salt and fat. Here are some healthy recipes to get you started. Choose unrefined whole grain foods that are high in fiber, or better yet, eat whole grains that are not processed, that you can see with your eyes: brown rice, quinoa, millet, etc. Choose lean sources of protein. Did you know that you can sauté onions and garlic in a little water over low heat instead of using oil? It works really well and every time we avoid heating oil it is much healthier for our arteries and conforms to a heart-healthy diet. If necessary you can add any oil after cooking. This is an easy, tasty, heart-healthy recipe that will be a big hit with both kids and adults. Serve with extra vegetables or a salad, on the side. Transfer to baking dish and sprinkle with cheese. Bake in 350 oven for 15 minutes. 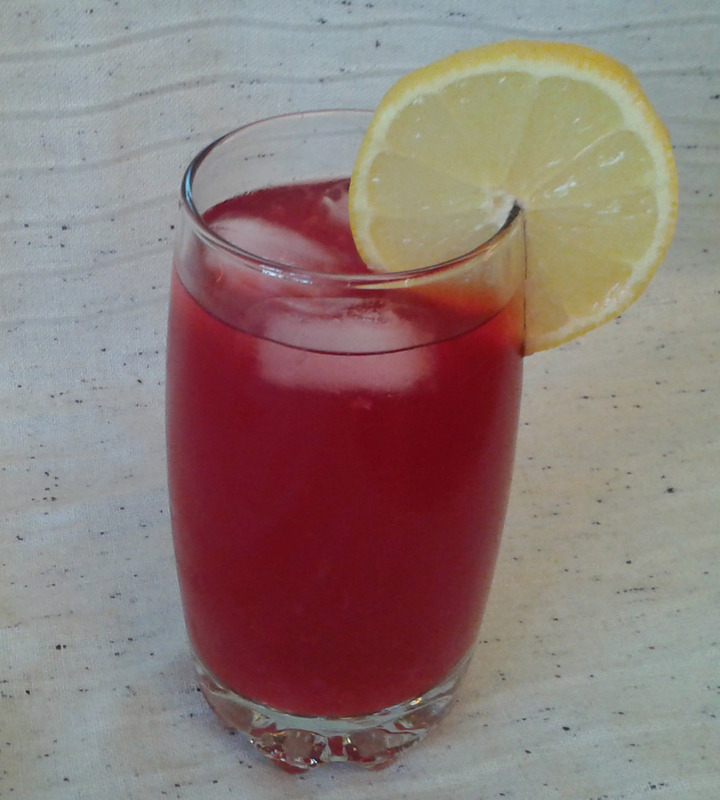 It was about 30 C (86 F) with a humidex of 40C (104 F) When I made this delicious Berry Homemade Lemonade. Made with red berry herbal tea, raw sugar and water this is a super thirst quencher! In a separate bowl, combine marmalade, mustard, soy sauce, vinegar and ginger until well mixed. Spoon it evenly over the chicken breasts. Bake for 20 to 25 minutes, until chicken is cooked through and golden brown on top. Pour the liquid from the baking dish into a small pot set over medium heat. Stir up 1 Tbsp cornstarch and 1 Tbsp water in a mug and add it to the saucepan. Cook and stir until thickened. Serve each chicken breast topped with hot marmalade sauce. A tasty, heart-healthy recipe, perfect for a pot luck. In a large heavy skillet, heat ¼ cup of the oil over moderate heat until it is hot, add the cloves, the cinnamon stick, the bay leaf, and the cumin seed, and cook the spices, stirring for 1 minute, or until the stems of the cloves have swelled and the cumin seed is a few shades darker. Add the onion and cook the mixture over moderately low heat, stirring until the onion is softened. Add the ginger root and the garlic and cook the mixture, stirring for 1 minute. Add the rice, stirring until it is well coated with the mixture. Add the turmeric, cook the mixture, stirring, for 30 seconds. Add 2 ¾ cups water and the salt, bring the liquid to a boil, and simmer the rice, covered (for about 45 minutes). Remove the skillet from the heat and let the rice stand, covered, for 10 minutes. Discard the cloves, the bay leaf, and the cinnamon stick, transfer the rice to a large bowl, fluffing it with a fork, and let the rice cool completely. Add the peas, the scallions, the celery, and the parsley and toss the mixture well. In a small bowl whisk together the vinegar and salt and pepper to taste and add the remaining oil in a stream, whisking. Drizzle the salad with the dressing, toss it well and add salt and pepper to taste. Serve the salad at room temperature. In the summer I make a big batch of pesto sauce, freeze it in ice cube trays, wrap the chunks individually and keep them in the freezer. This is a super fast and easy heart-healthy recipe. Pesto Sauce - store bought (in a jar) or home made. Cook the pasta, drain, add chicken and pesto to the same pot. Add the pasta, toss until evenly coated, heat gently and serve with grated cheese on top.